Apple’s introduction of third-party keyboards with iOS 8 has been a real win for productivity and general functionality. Users can now call upon the powers of Fleksy, SwiftKey and Swype when typing emails, messages and creating documents, and in turn, get the job done considerably more quickly. 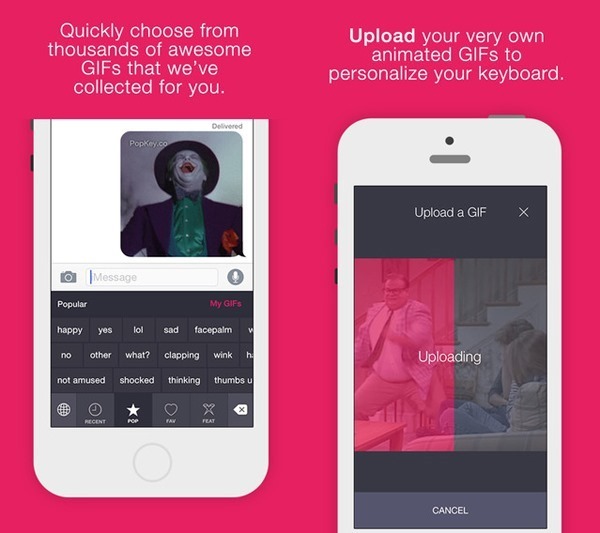 The opening up of the keyboard aspect has also brought a new wave of fun typing experiences, with the likes of the Riffsy GIF Keyboard bringing those much-loved memes to iOS, but before Riffsy even hit the App Store last week, PopKey sold the idea to us with its equally entertaining effort. At the time, it wasn’t ready for end user consumption, but now, PopKey is ready for prime time, and below, you’ll find both details and download link. Not only does PopKey let you choose from a broad selection of pre-made GIFs uploaded by the community, but it takes us back to a time when instant messaging was a lot more, shall we say… fun. Back when the recently killed-off MSN Messenger was at the fore, we used to send animated GIFs to one another at every opportunity, and although the affinity to moving images has not faded, sourcing, saving and sending these images on iOS hasn’t been the most fluid of processes. 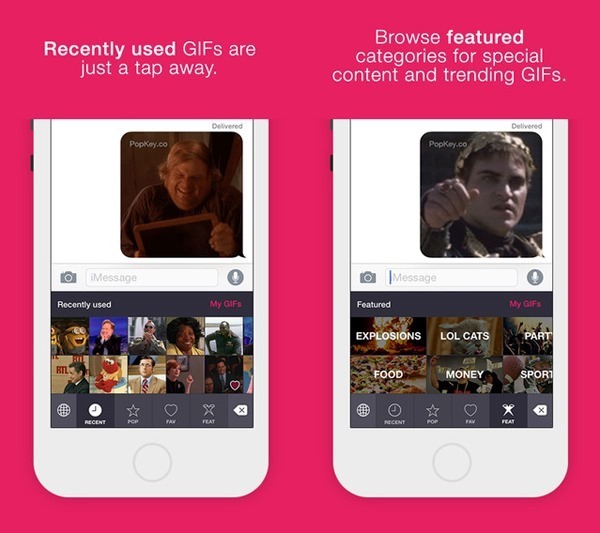 Thanks to the likes of PopKey, though, users can hold entire conversations using GIF images available at the tap of a screen, and the larger the following, the more GIFs PopKey will be able to offer its users. 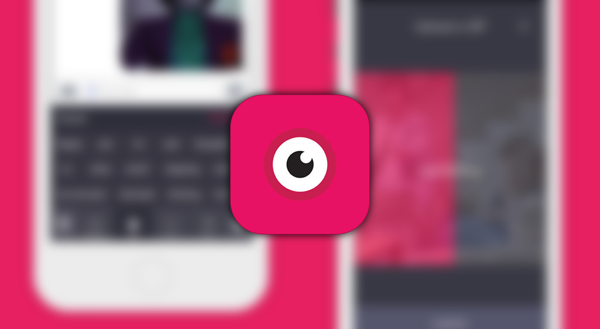 As well as being rather enjoyable, PopKey is also completely free of charge, and with themed categories as well as the ability to store favorites in an easily-accessible menu, it’s a delight to use. Having spent the last three weeks applying the finishing touches, author WorkshopX has finally pushed PopKey to the App Store, and if you’re of the opinion that a GIF is worth a thousand words, then check it out via the link below.